Are you a woman who wants to deepen your connection with your feminine body and heart and be able to self-source pleasure? Do you long to find more sensual enjoyment in your everyday life, in balance with all aspects of your life? Are you curious on how to be more grounded in your unique expression and mission in life, empowered by sisterhood? This training is for You, who wants to dive deep into your feminine essence and learn simple yet effective embodiment practices that merge your sexuality, creativity, health and vitality and who wish to enhance the work you already do with women in the field of your profession. Maybe you are a yoga teacher, counselor, healer, mother, therapist, artist, midwife or in a supportive roll of other women and wish to get more tools and experience on how to create a deep sense of safety and enjoyment in the feminine body. This training is defined by who we are and by the gifts we bring into the circle. We come together in order to grow and embody the woman we already are and take new steps in our life and expression. In the enchanting forest and magical seashore of Sweden, I invite you to this in-depth practical and experiential training. This is a retreat for Woman’s Body and Soul, where we will dive into the feminine yogic and tantric arts in a true nature of sisterhood. Come and receive tools, practices & integration of your own peaceful, ecstatic embodiment together with other sisters! * This workshop will be guided in Swedish or English depending on if there are English speaking participants attending the workshop. Please let me know if you need assistance in understanding English. In this over-masculinized society, many women have lost contact with their soft, sensual yet wild feminine nature, their Shakti. In order to be independent we have had to push ourselves, and compare ourselves with men, competing with them in order to survive. In many cases this world has hardened us, and the sense of magic and trust has been lost. We have become too hard on ourselves, too tired, and try to fill a hole within us that cannot be filled by the outer world. 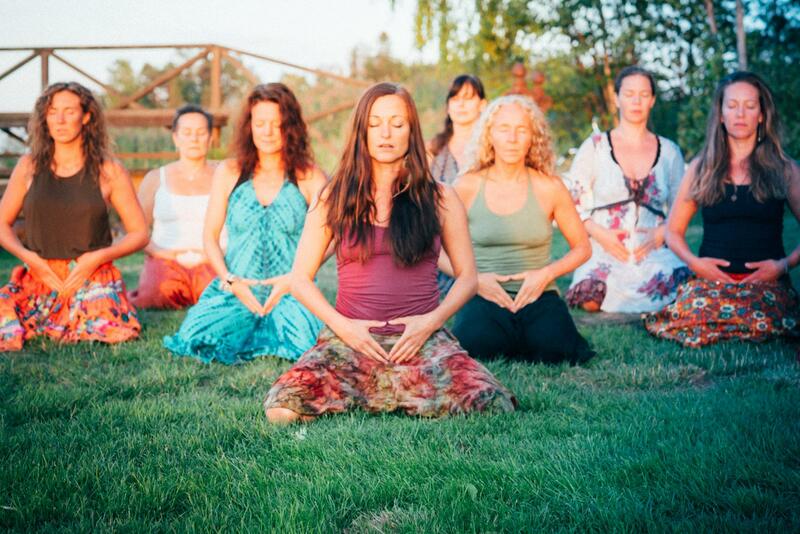 Shakti Yoga with Mira connects you with the wild, intuitive, feminine within you. It brings a sensual mindful awareness in your yoga practice, letting your inner wisdom guide you through each asana, trusting the body’s inherent wisdom to move and heal through each movement. Shakti yoga feels so natural, enjoyable and deeply nourishing that you want to do your practice every day!